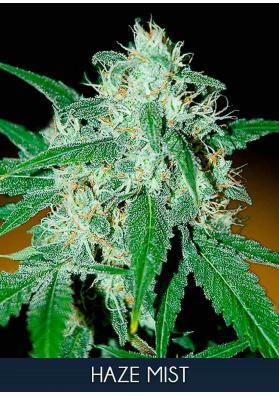 Jack Plant Marijuana has a sweet taste and a short flowering period being mildiu resistant. Jack Plant Marijuana is a perfect strain for outdoor growers looking for a Sativa with great productions. Being a selection of Jack Herer, it gives high yields and is very potent. The name of the other strain of the cross has not been revealed. Nonetheless, this unknown specimen gives a very pleasant and sweet taste and reduces considerably the flowering time, vital for outdoor growers, specially in cold or humid areas. We can say that for these climates, without being totally immune to it, Jack Plant Cannabis is mildiu resistant, meaning that it can resist much more to adverse conditions than other varieties; but bear in mind that it is not invincible! It can be grown in indoors and it is advisable to give it only 10 days of growth as might otherwise be totally out of control. Definitely, the place where you can best take advantage of this specimen is in the outside. Indeed, Jack Plant can exceed 5 meters high.